The Central Information Commissioner Prof. M. Sridhar Acharyulu in an appeal preferred by Ravinder Kumar, a life convict since June 2004 in a dowry death case seeking copies of his medical records held that it is the duty of public authority to permit the inmates of jail to defend second appeal, or make alternative arrangements like video conferencing. 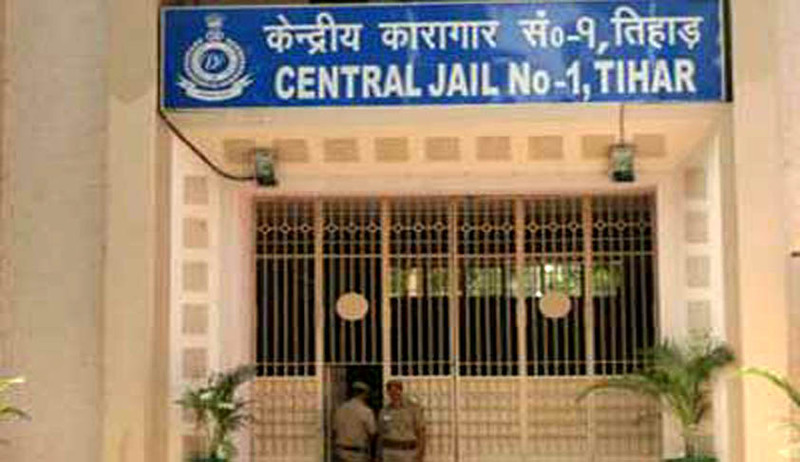 The CIC issued a show cause notice to Tihar Jail Official to explain why penalty should not be imposed under Section 20 of RTI Act for such denial. Ravinder Kumar believes that the medical records would help him to prove that with visual deficiency he could not have killed his wife as alleged, but that opportunity was denied by not certifying the medial records at first instance, destroying the records at second instance and finally denying him permission to attend the second appeal. Ravinder could show that because of denial by Jail Superintendent he could not attend second appeal on 30-12-2015. He could establish that PIO of Tihar Jail did not inform the Commission about the refusal of permission, which amounted to suppression of information. Ravinder along with his parents and brothers were jailed for dowry death. He contended that his wife was killed in a dacoity but his family was implicated by in-laws. Since all his family members were lodged in jail, there was none to help him for information; hence he had to approach under RTI Act. As the information sought was related to life and liberty, it should have been given within 48 hours. He got all medical documents in 2010 under RTI but those papers were neither attested nor certified. He again applied in January 2015 for certified copies. Ravinder also adduced evidence before the Commission that Mr Vijender Kumar Yadav, IPS, Addl. DCP-I, North District, had destroyed his medical record 14 days after the receipt of the RTI application. Destruction of records during pendency of RTI application would attract penalty under Section 20. He could show that Mr Vijender Kumar Yadav, who is also the PIO, who stated to have received RTI application, is the same officer, who in his capacity as Addl.DCP had issued order for the destruction of his medical record. The Commission has viewed this act as willful obstruction of information by the public authority. Ravinder submitted that he could not attend the 2nd appeal as custodial parole was denied. He alleged denial was only because he filed RTI requests with the jail. He also complained to the Commission that because of this attitude many other prisoners are not in a position to file or defend their RTI cases. The Commission directed Mr. Vijender Kumar Yadav to show cause why maximum penalty should not be imposed upon him for destruction of medical records when the RTI request was pending with them. The Commission also directed the Jail Superintendent to initiate the efforts to find the medical records of Ravinder. The DCP has also been directed to search for any parallel entries of medical records or the bills for medical reimbursement or vouchers for payment made to Ravinder or any other related document pertaining to his medical history. The DGP (Prisons) has been required to show cause why suitable compensation should not be awarded to Ravinder for delaying, denying and destroying the medical records by the Public Authority.